Search for your name, put up to 30 properties in your cart, click the cart button at the top to claim your money. As you may know, many states have adopted laws which open but limit access to public documents. Our act is known as the Kansas Open Records Act (KORA), K.S.A. 45-215 et seq. Under the KORA and our civil code, lists of names and addresses obtained from public records cannot be used for the purpose of selling or offering for sale any property or service to the persons listed (i.e. commercial solicitation). The civil code statute, K.S.A. 2006 Supp. 45-230, provides that we would be subject to civil penalties if we furnish such information to you, and you in turn use the information for commercial purposes. K.S.A. 2005 Supp. 45-230 also provides that you are also subject to a civil penalty of up to $500 for each occurrence if you use this data to sell any product or service to the individuals listed in our database. !!! THERE ARE NO FEES OR COSTS LEVIED BY THE STATE OF KANSAS FOR THIS SERVICE NOR ARE THERE ANY FEES TO CLAIM PROPERTY !!! 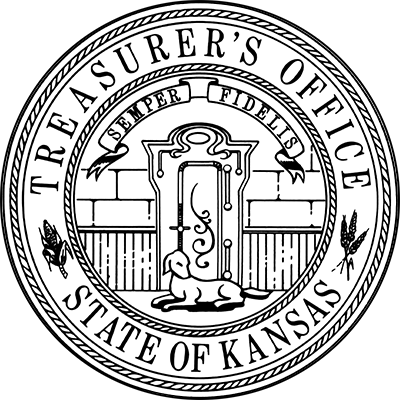 Under the Unclaimed Property Act, no person can charge a finder's fee within the first two years after the asset is reported to the Kansas State Treasurer's Office. In order for you to look up your name, you must agree with the above statements. Please choose your response below after reading them. Thank you. "We have over 350 million dollars in unclaimed property waiting for the rightful owner to find and claim. One of the best parts of being Treasurer is returning lost money to the people of Kansas. Use the fields at the top of the page to see if we have anything for you. You may also call us at 785-296-4165 for more personal assistance." Learn more about Jake.